Julia Denos is the acclaimed illustrator of Dotty, by Erica S. Perl. She lives in Quincy, Massachusetts. 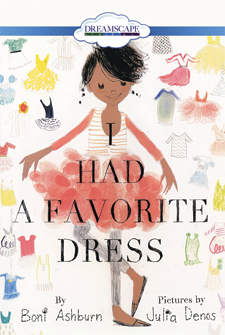 A fresh and stylish story about growing up and keeping hold of your favorite memories.